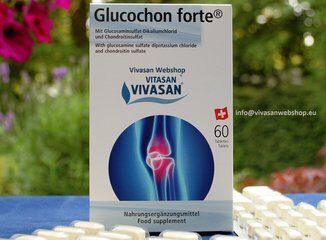 Vivasan Cosval Mineral and Vitamin-complexes support a healthy life stile - Vivasan Webshop English - World wide delivery Vivasan Official Webshop® is specialized in shipments to the UK, Ireland and Scandinavian countries. Best prices! Vivasan and Cosval present a range of nutritional supplements: mineral and vitamin complexes (MVC), produced under special formulas and cutting-edge technologies on the basis of healing herbs and bioactive ingredients. The Cosval and Vivasan mineral en vitamin complexes include healing herbs such as milk thistle, Saint-John's-wort, acerola, cumin, fennel, melissa, aniseed, bearberry, manuka, Indian kidney tea, Commiphora Myrrha, eleuterococus, ginseng, Leuzea, Catuaba, roseroot, Q coenzyme, sources of polyunsaturated fatty acids: primrose, salmon and linseed oil, soya isoflavons, lactic acid bacilli, vitamin and mineral complexes that render complex health care and prolong youth. Migliorin Tricox hair loss treatment 60 pcs.